ÊThe Twilight ZoneÊ is among the most beloved shows in American television history a pioneering fantasy behemoth that bridged the cultural gap between the 1950s and 1960s with thought-provoking mystery mind-boggling theorems and occasionally outright horror.ÞÊThe Twilight Zone FAQÊ takes the reader back to that halcyon era looking back on the show and its impact as a force for societal change via reflections on the manifold topics and controversies that the show took on ä from the space race to the Red Menace from paranoia to madness and beyond. 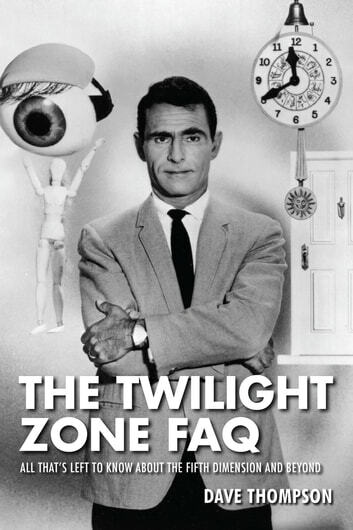 Dave Thompson traces the history of the show ä from its earliest flowering in the mind of then-unknown Rod Serling through its slow birth shaky beginning and breathless five-season run ä and he shows how it became the blueprint for so much of the fantasy television that has followed.ÞChapters deal with the comic books novels and many other spin-offs including the movie the TV revamps and even the amusement park ride. 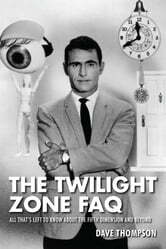 In addition this FAQ offers a full guide to every episode providing details on the cast and music and pinpointing both the best and the worst of the series all adding up to a brightly opinionated time machine that catapults the reader back to the true golden age of American television.